KUALA LUMPUR (June 26): Non-bank lender Malaysia Building Society Bhd (MBSB) aims to convert its conventional assets worth about RM1 billion, which makes up about 10% of its assets, to Islamic assets over the next two years, as part of its plans to becoming an Islamic bank. Its president and chief executive officer Datuk Seri Ahmad Zaini Othman said the conventional assets include home mortgage loans. “Currently, more than 90% of our asset portfolio is [already] Islamic and we will continue to convert the remaining conventional assets to Islamic assets over the next two years. They amount to about RM1 billion,” he told reporters after the group’s annual general meeting yesterday. Ahmad Zaini said the group is now in the integration stage to boost its operation by putting in place a single platform for Internet banking. “We are very busy setting up the required infrastructure for our internet banking to put all the products and services on the platform. “By March next year, we think we should have a full-blown Islamic Internet banking platform,” he added. As part of its digital transformation journey, Ahmad Zaini said the board had approved about RM250 million investment over the next 15 to 24 months to build up its digital capabilities, and it plans to launch fintech capabilities in partnership with third parties providing better customer banking experience. “We foresee that there won’t be any significant cost increment from this amount (RM250 million) over the next 12 months, apart from what have been approved,” he said. MBSB is trying to capitalise on the banking licence, doing more on transactional banking services, including cash management, payments, trade finance, remittance, debit cards and interbank transfers. “For MBSB, what we are looking at is to push [for] more transactional banking, such as trade finance. 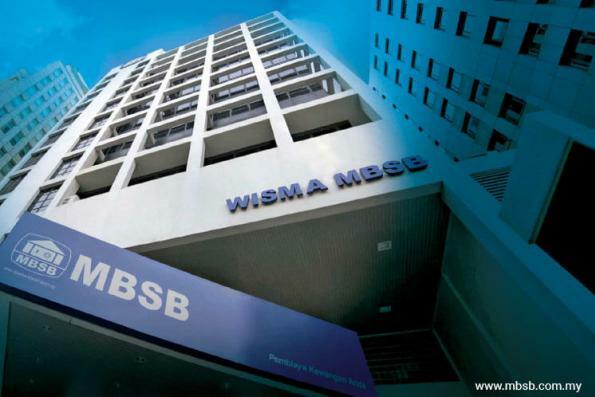 So, I would imagine that the projected loan growth for MBSB will be about 3% to 5% for this year, driven partly by affordable homes and business loan financing,” said Ahmad Zaini. MBSB’s net profit more than tripled to RM316.79 million for the first quarter ended March 31, 2018 (1QFY18), from RM101.32 million a year ago, due to allowance write-back for impaired loans. It reported an allowance write-back for impaired loans of RM154.4 million, compared with an allowance charge for impaired loans of RM167.92 million. Quarterly revenue was marginally higher by 0.47% at RM815.04 million, compared with RM811.2 million in 1QFY17. On the group’s outlook, Ahmad Zaini expects it to be significantly strong and stable, but is aware of the slowdown in the property market. “In certain areas like affordable homes, it should remain stable and strong. However, an oversupply on the commercial property side remains the same. “We want to avoid that segment. We want to push [for] more transactional banking,” he said. The acquisition of the entire equity interest in MBSB Bank Bhd, formerly known as Asian Finance Bank Bhd, has enabled the group to become a full-fledged Islamic bank, one of 16 in Malaysia.